Remote Control Drones - What Are They And Why You Want One? There is a drone buying fever on the internet - You’re probably wondering why? Prices of remote control drones also known as multirotors or multicopters have reached the very bottom. It’s also one of the reasons why they have become so popular and widespread that even those that were never interested in modeling and flying, now think about purchasing one from The Internet or local shopping center. Generally speaking, drones are aircraft that should have autonomy, or, in other words, the craft that should have circuits which allow them to follow the trajectory independently and fly through waypoints. If necessary, autonomously perform assigned tasks (alerting, recording, data transferring, etc. ), and also individually take off and land. E﻿lectronic gyrosco﻿p﻿e is a device that serves to stabilize the flight and hold the position. ​In fact, although it’s not a real gyroscope (i.e., rotating mass), electronic gyroscope or gyro can detect minimal shifts in multirotor. External objects can cause them: the wind, the inertia of the aircraft, as opposed to the intentional remote control signal, that then compete with autonomous giving signals for stabilization. Combining the data from these three sources can very accurately stabilize the flight of multirotor or single rotor devices. ​The rotor aircraft's (in aerodynamics are often referred to as aircraft with swing wing - because the propellers are used to create lift, in conventional aircraft's this role is handled with fixed-wing) are inherently unstable. ​This is particularly the case for classical helicopters with one propeller used for thrust, which creates a strong torque with opposite direction of its movement. Therefore, most conventional helicopters have an extra vertical tail rotor, in compliance with the main rotor, it is there to neutralize the torque which would otherwise spin the entire helicopter body under the main propeller in opposite direction. Multirotor aircraft's solve this problem so that the unwanted torque cancel each other out. This can be addressed so that the coaxial, two identical counter-rotating propellers are placed one above the other, and their moments cancel each other out. (most famous of such helicopters are Russian Kamov Ka-50 and later derivative Ka-52). A somewhat simpler technical solution is seen on American military transport helicopter Boeing CH-47 Chinook, two counter-rotating propellers are placed on the two ends of the helicopter and thus, neutralize unwanted torque. ​Both of the two approaches are used with remotely controlled multirotor, but rarely. The most commonly used method is the one with four smaller propellers, fixed pitch and separated controllers for each of the engines. Thus, their torques are canceled due to a layout of the engines and different work modes for each of them, that are managed by the control electronics. The term "drone" in a military context is used almost exclusively for the unmanned vehicles, which in addition to remote management, have their autonomy and elements of artificial intelligence. The acronym UAS stands for Unmanned Aerial System, and it is an older term that is slowly coming out of use. RPV stands for Remotely Piloted Vehicle that is almost exclusively used for remote controlled drones without any autonomy or artificial intelligence. Colloquially, however, the term "drone" is used exclusively for remote control multicopters, some of which may be equipped with one or more advanced rudimentary autonomy or FPV systems, although this is not essential. So, what is the military classification RPV, in everyday life, is known as a drone. The acronym FPV, in turn, means the First Person View, or the possibility of getting video from your aircraft in real time. To make this possible, you need to set digital video camera (there are dozens various types, and prices can range from tens of dollars to the thousand and more dollars) and transmitter. On the user point, you need a video receiver and a screen on which you’ll receive video in real time. The screen can be dedicated, from video receiver (i.e.,. on a laptop) or special VR goggles. More advanced versions of FPV system have trackers on the VR goggles which transfer head-rotation signals on two axes (horizontal and longitudinal) to a servomotor in the base camera on the aircraft, which is then moved by the user's head movements. Flying, of course, is not a big problem for multicopter. By turning the propellers, it creates the lift that raises the entire aircraft in the air. A Bigger problem for multicopters is stabilization and management of such flight. The reason there were no multicopters 20 years ago as there are today is due to progress and the miniaturization of electronics. Primarily those of the smartphone (or computer and, if we’re talking about WiFi communication to 2.4 and 5.8 GHz), which then made its way to remotely controlled models. ​The control center of each drone / multicopter is on the printed circuit board with electronics, which is located on the aircraft, that includes gyros that register shifts in the six axes (rotation and sliding on all three spatial axes) and which controls the operation of each engine in particular. Some multicopters can change the pitch of the propeller disc, thus regulating the direction of flight, and the second, in turn, manage the differential strength of each of the motors that drive the propellers. Quads are extremely agile, but this agility comes at a cost. They are inherently unstable, and they need some form of automatic feedback control in order to be able to fly. In both cases, the way in which the pilot modeler uses the transmitter station for control is the same. And multicopter electronics converts received orders into signals which control the servomechanisms propeller tilt (usually the whole engine with the propeller turning forward or back, or left and right) or differentially add the power to engines on one side of multicopter. 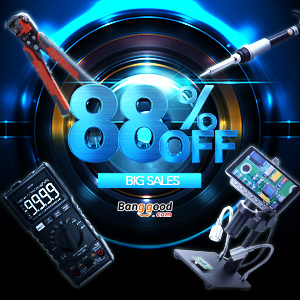 The main stabilizing electronics is also built on the cheapest micro multicopters, which you can buy online or in the halls of the shopping centers for a slight price. With cheaper models usually all electronics and mechanical construction have parts that are not removable, nor they can be upgraded to something better - as your needs increase over time. Drones can be used for survey, professional air recording, controlling power lines, dams, and other infrastructure projects, in fact drone applications are in constant progress. "...it's pretty similiar to tuning the instrumet, you have to make sure that every component of it is working properly"
In this article, we’re primarily deal with multirotors for hobby use - flying in an apartment or outdoors, non-professional filming from the air or FPV flying and racing. ​It’s characteristic for all these categories that multirotor models are already finished, ready to fly. Often referred to by abbreviations RTF - Ready To Fly or PNF - Plug’n’Fly. 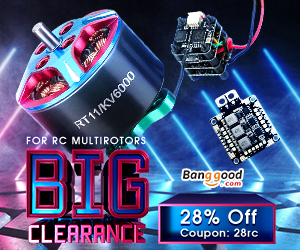 The first abbreviation usually means a complex model, but without the installed radio or servo, and without RC station that is expected customer already has, or he will purchase it separately. PNF usually means quite an assembled model that requires only to plug the battery, and everything else is set to fly. Also, in all of these categories, there are kits and various parts or upgrades that allow modifications according to user needs. For those who are planning to start to play with this hobby are probably thinking all this is unnecessary “let me just take off and fly”. However, after only a short time, almost all are trying to change something on their multicopter - the engine power, controller, video camera, frame or something else - it’s that simple. Depending on how big and what kind of camera you want to use, you will need to choose the size and capacity of your drone. The combinations are endless, but in the end, they depend primarily on user finances and accurately defined need. It is not possible to assemble universal drone that will be used around the house and outdoors, for FPV flying and racing, border surveillance, detection of forest fires and shooting films and commercials for cinema and TV. Although drones can be used for flying around the house, yard, on the lawn with friends or for more or less advanced aerial photography (keep in mind that you need to have permission to film from the air, even if you have basic multirotor with low-quality camera). In recent time FPV drone racing is becoming more and more popular, which have a growing number of users. To take part in racing, you're of course going to need remotely controlled multirotor aircraft, equipped with FPV system and the corresponding receiver connected to some screen - the one on the laptop, a dedicated one or VR Goggles. To take part in racing, you're of course going to need remotely controlled multirotor aircraft, equipped with FPV system and the corresponding receiver connected to some screen - the one on the laptop, a dedicated one or VR glasses. In the past few years, drone racing videos are flooding YouTube with thousands of videos from these events, which are usually held in the woods among the trees, (they resemble assault imperial storm troopers from the “Star Wars” on their Speeder), or in empty garages and abandoned buildings. We will not lie to you - it is not easy, and not for beginners. On the good side - those racing multicopters are lightweight and relatively resistant to collisions and falls, but you can count you'll crush some blades here and there, maybe some other parts, at least in the beginning. Where can I buy a drone? If you’ve never tried flying any of drones / multirotors, you need to start from somewhere. One way is to start small relatively inexpensive quadcopter that you can buy from Amazon, Banggood, DealExtreme and other online stores. Keep in mind that these little drones generally have no ability to upgrade; expect reserve propellers and batteries, you can not buy other spare parts once something breaks or fails - you can only buy a new drone or fly no more. Also, due to its extremely low weight (typically below 250 grams), they are sensitive to the wind, and almost exclusive used in flying in the house or other enclosed areas, you can only carry them out when there is no breath of breeze. On of the most popular beginner’s model, for those who want to start with FPV flying, is the Husban X4. Width and length of only 2,4*2,4 inches, in which you’ll find four motors, 6-axis gyro stabilizer, video camera, and transmitter. We know, unbelievable but true, and an ingenuity of engineering. Hubsan is classic beginner quadcopter and we included him on our top drones for beginners list. The model contains virtually everything you can expect from larger and more powerful FPV models, except of OSD(on-screen display) module, which through video received from the camera shows battery and flight data, and GPS system with the autopilot, which is still beyond the reach of this little guy. If you're just starting out in this hobby, you can find models to suit your needs on a budget. All listed drones are for beginners, depended on needs and flight skills. Once you mastered the basics with this kind of beginner models, you can buy a ready-made model of class 250 (diagonally measured distance between the front left and back right propeller, i.e., in millimeters - and that represent the class of drone), or you can assemble you own drone. Those who are seriously engaged in this hobby claim that winning FPV Quad is never bought but built. From frame (usually aluminum or carbon fiber), own electronics and controller for motors, to cameras and transmitter and so on. Your own fast beast will be third or fourth drone model if you bite deeper into this hobby, and what you’ll also be going to need are the 5.6-GHz receiver and VR glasses. Even though FPV race can be followed on the laptop or handy LCD screen’s, it is reasonable to obtain your own VR goggles - to avoid the problems with an external light on the LCD (they are all useless in sunny daylight). The first and more expensive are those with tracker or gyro that registers movements of the head from side to side and up or down. For them, it’s necessary to have the appropriate station (that is often said in the modeling approach jargon) that accepts external input (usually via DIN, Futab, JR or other connectors, recently even USB) on which the goggles are connected. Then transmit the head-movement data to gimbal servo’s on which FPV camera stands in the quadcopter. In quadcopter FPV race, goggles with tracker are never used (additional gimbal servos add extra weight - and you don’t want that when racing), but they are sometimes used for model airplane's FPV flights. We made extensive guide on FPV Goggles for Drone Racing and Freestyle - Be sure to check it out! The second and significantly more common models are the ones without a tracker. That is somewhat cheaper but greatly reduces overall build price ( you don’t need the station that supports external devices like the first type, also no need for special gimbal for FPV camera in the model). And they give the same experience as the model with a tracker. For DIY assembling with FPV camera, transmitter with supply (li-po battery) and receiver, with cheapest goggles you're going to need around 200$. The upper limit is practically non-existent. Quality VR glasses with the tracker, a quality camera with a stabilized gimbal, strong transmitter at megahertz - instead of the usual Ghz frequencies, will impoverish hundreds and hundreds of dollars. In short, something for everyone. If, however, you do aerial photography and video, keep in mind that the image quality produced by FPV camera is far from sufficient for high-quality images or Full HD, not even 720p video. So, if you have an FPV camera for a high-quality video that you want to show around, you need to have additional video/photo camera and appropriate (stabilized) carrier. In this case, you're going entirely from FPV racing category and enter into aerial photography and videography, where for every photo/video shoot you need special permission from state authorities. When not thinkering around drones, you’ll find me researching latest technology insights from UAV industry.